Kyle is originally from Boulder, Colorado. 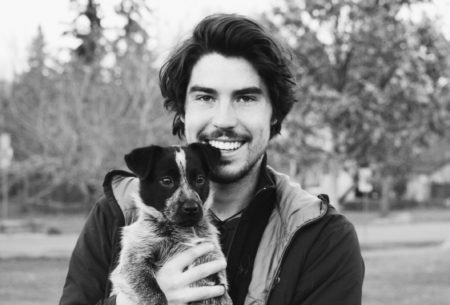 He started working at Indian Peaks as a kennel technician in December of 2017. Prior to that he worked with wild animals at Greenwood Wildlife Rehabilitation Center. He now works as a veterinary assistant at Indian Peaks. In his free time he loves to play with his adorable cattle dog puppy, Scottie, and watch David Attenborough documentaries.